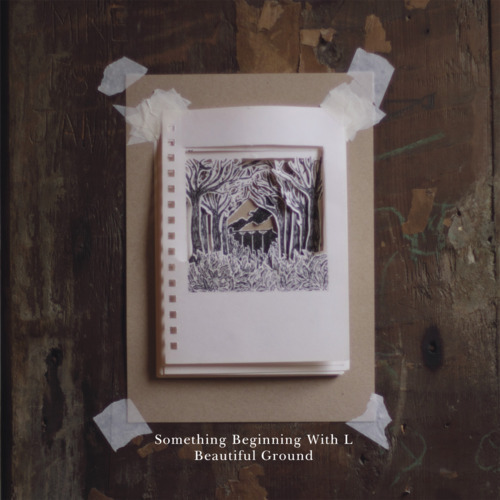 Following on from the critically lauded Listed Building EP in the Springtime, Something Beginning With L’s magnificent debut record, Beautiful Ground is now out and available on CD and Digital Download from all good record shops so it is. You can buy it direct from our goodselves here. 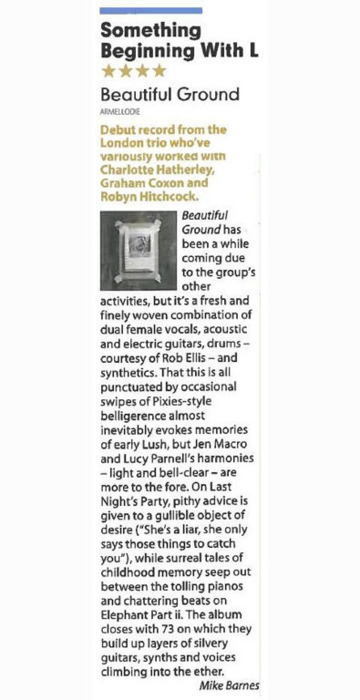 It’s been getting some stellar write-ups too from the likes of Mojo (4/5) (see below), Time Out London (4/5), Subba-Cultcha (8/10), Drowned In Sound (7/10), BBC, The Herald, and The Line of Best Fit to name but a few. The guy’s recently did a session for Painter’s Radio too, here’s a wee video of them performing Elephant pt ii from the album. Gorgeous ay? …and the song’s a winner too!